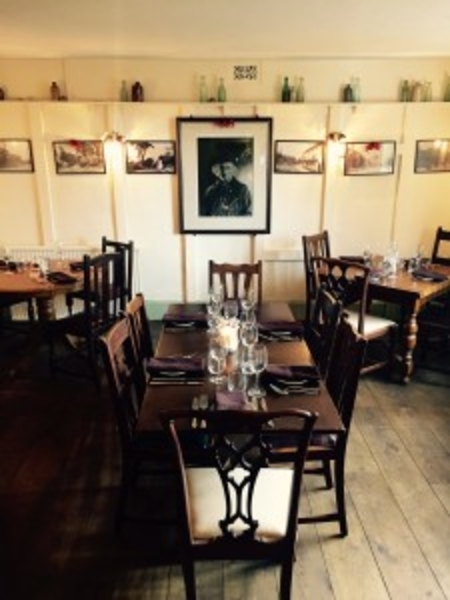 The refurbished Abergavenny Arms in Frant near Tunbridge Wells is to host a four-day beer festival over the August Bank Holiday, from Friday 26th to Monday 29th August. The highlight of the event will be live music in the pub garden with a hog roast on the Sunday. During the festival the imposing 16th century pub, which is open all day for food, will serve 18 different beers. These will include many local craft beers and guest ales from around the UK and beyond. 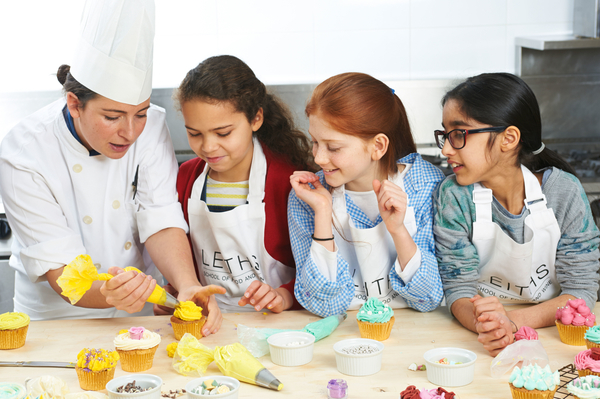 Invigorate your child's summer holiday with a creative burst of cooking and craft at Leiths School of Food and Wine this August. The school has joined forces with creative oasis Kite Studios to deliver a fun, educational program of activities for 7 – 11 year olds. The cookery activities have all been designed by the Leiths chefs (and parents!) to be fun, to teach important life skills, and to subtly instil the idea that healthy food can be extremely tasty. It's a wonderful opportunity for young, aspiring chefs to spend the day in professional kitchens learning from the school's acclaimed teaching staff. The art sessions will see youngsters creating their own work of art at Kite Studios, an inspiring and creative space. A team of passionate teachers will guide children in techniques such as sculpture, print making, etching and painting. Need to feed a hungry crowd at the BBQ? Give 'Em HECK. The fast-growing Yorkshire food company has put all of its sausages, burgers and balls into one basket and launched a great-value selection pack that's perfect for summer barbecues. The £29.99 pack (usual price £39.50 if packs bought separately) gives you one of each of HECK's full sausage range, including their traditional pork and award-winning lower fat chicken recipes, as well as their three types of burgers (beef, square pork patties and chicken) and meatballs. Totalling a mighty meaty 12 burgers, 12 chicken meatballs, 30 chicken chipolatas, 10 pork chipolatas and 24 pork sausages, there's enough to feed a hungry crowd of between 15 to 20 people. Or take advantage of the £10 saving and stock up the freezer instead: a bumper pack for a real burger and banger-loving family or group of friends. Nominations for the sixth Asian Curry Awards (ACA) are now open. 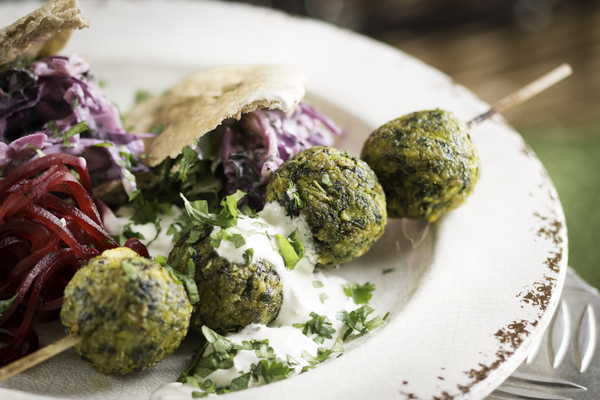 This year sees the awards expanded to include Turkish and Middle Eastern restaurants and takeaways for the first time. 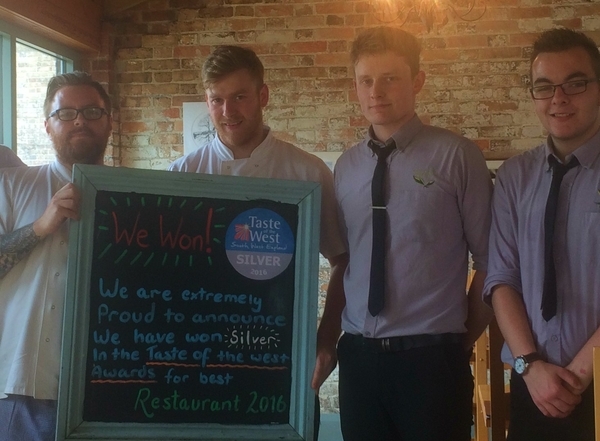 New award categories for vegetarian, curry pub, buffet and event caterer have also been created. The ACA organiser, the Asian Curry Federation (ACF), is to give away 500 tickets for the awards ceremony, being held at the Grosvenor House Hotel on Park Lane in London's Mayfair on Sunday 23rd October 2016. Curry lovers can nominate their favourite restaurants for The awards are open to Bangladeshi, Burmese, Chinese, Filipino, Indian, Indonesian, Japanese, Korean, Malaysian, Middle Eastern, Nepalese, Pakistani, Singaporean Sri Lankan, Thai, Turkish and Vietnamese restaurants and takeaways. Last year's top accolade went to Vivek Singh's acclaimed Cinnamon Club, which was named Best South Asian Restaurant (Central London). 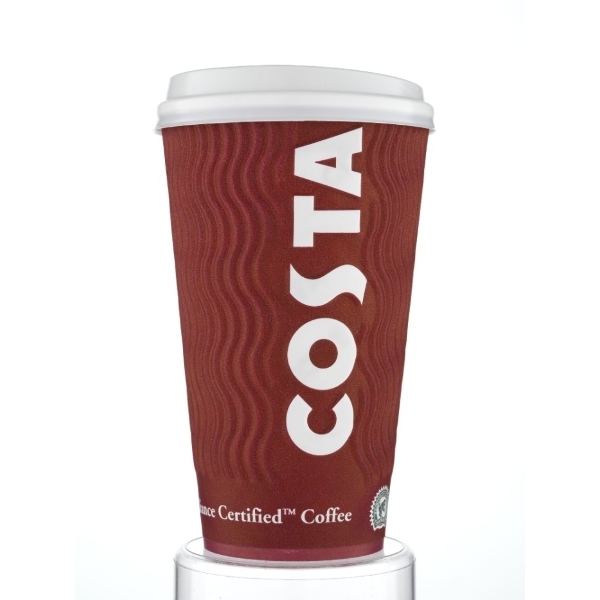 In response to both the recent media attention and consumer concern over the recycling of paper cups, the Foodservice Packaging Association (FPA) and Paper Cup Recovery and Recycling Group (PCRRG) have launched an industry-wide Manifesto with the objective of significantly increasing paper cup recovery and recycling rates by 2020. The Manifesto has more than 30 signatories, representing each stage of the paper cup supply chain from raw material suppliers, cup manufacturers and retail high street brands to waste and recovery operators and paper reprocessors. A list of initial supporters and signatories is given below. 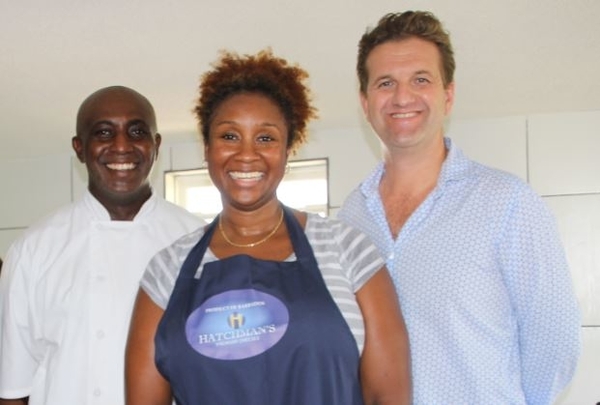 As anticipation builds for the 29th annual World Cheese Awards, which is being held in San Sebastián this year as part of the International Cheese Festival, awards organiser, the Guild of Fine Food, is delighted to officially announce its first judge for 2016, Andrea Power of Hatchman's Premium Cheeses, the only cheesemaker in the whole of Barbados. The Barbadian producer's trip to the Basque Country will be sponsored by Cobblers Cove, a luxury retreat on Barbados' west coast, as part the celebrations being held to mark 50 Years of Independence for this small and proud nation. The world's hottest chilli pepper, the Carolina Reaper, will go on sale today at Tesco stores across the UK. Carolina Reaper is the world's hottest chilli pepper It's now being commercially grown in the UK for the first time ever It goes on sale exclusively at Tesco stores across the UK from tomorrow Lovers of extreme hot food – you have been warned! 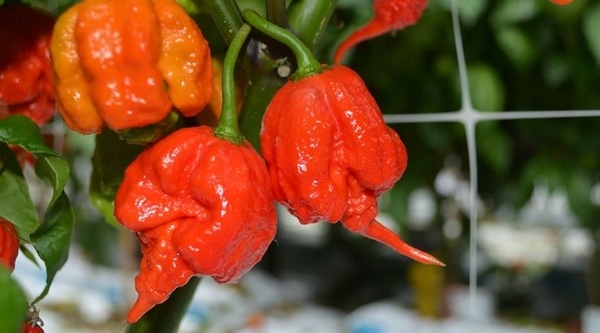 If you thought the notorious Komodo Dragon – a chilli pepper launched last year by Tesco - was hot stuff then just wait till you try the Carolina Reaper which goes on sale at the supermarket tomorrow. It's officially the hottest chilli pepper in the world according to the Guinness Book Of Records, measuring an average 1.5 million Scoville units*. LIVERPOOL'S newest cocktail bar, restaurant and event space, District House has officially opened its doors, creating 60 jobs. Located on Water Street, an area of the city that is experiencing a huge surge of new food and beverage operators, the venue has capacity for up to 600 guests as an event space or 350 diners across the new cocktail lounge, restaurant and private dining mezzanine. Operated by Know Hospitality and privately owned, more than £1m has been invested in refurbishing the venue. 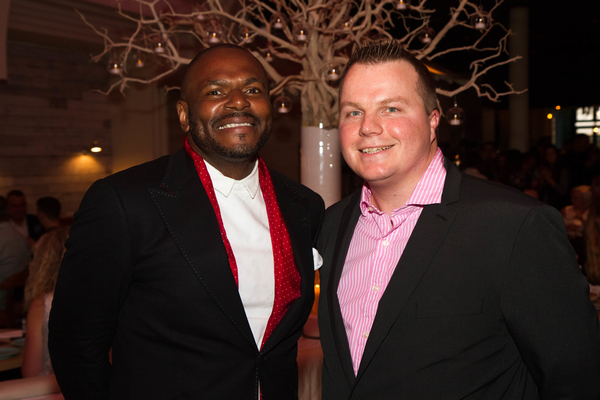 It is set to be one of the most hotly anticipated new launches in the trade show calendar. 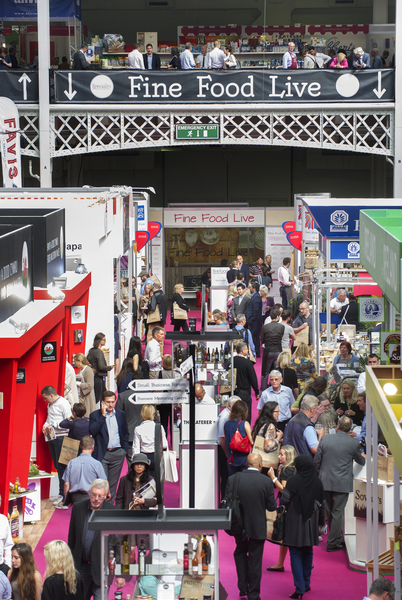 London's greatest gourmet trade-only event - Speciality & Fine Food Fair - is launching in Asia. The eagerly-awaited show, which also incorporates Speciality Chocolate Fair, will debut in Singapore on July 18th-20th 2017. Run by food and hospitality experts Fresh Montgomery for the last 17 years, the two UK speciality fairs are a huge success story. Showcasing innovation from the finest artisan food and drink producers from across the globe, the two fairs are vibrant - and pivotal in unveiling new brands, and inspiring exciting trends. By launching in Asia, Fresh Montgomery and its sister company Montgomery Asia, are offering a unique opportunity for fine food and drink producers to reach new global markets. The summer BBQ can be heavy on fat and calories but there are easy ways to create a healthier BBQ feast without scrimping on taste. Try these simple tips from The Yorkshire Dietitian Vanessa Quarmby and HECK. Fill your plate with veggies and salad. We should all be eating plenty of veg and BBQ season is the best time to eat more. Vegetables can be transformed into delicious dishes. Why not try asparagus brushed with oil or vegetable kebabs? Try peppers, mushrooms, courgettes, tomatoes and onions on skewers. They are really tasty if brushed with oil or a marinade. Corn on the cob is another delicious way of hitting your 5 a day. Try not to burn or char food too much. Keep turning meat over on the BBQ and remove charred portions of meat before eating; all these tips can help you reduce your intake of unhealthy substances that can form when meat is heated at very high temperatures. 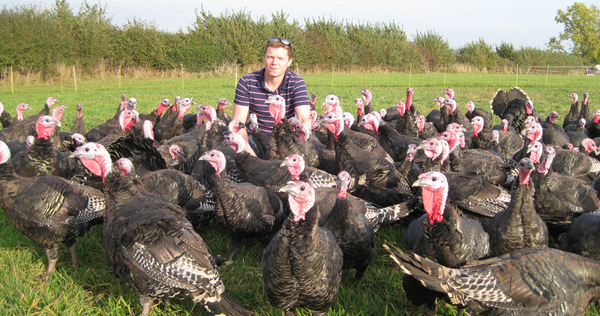 The Traditional Farmfresh Turkey Association has appointed their new Chairman, Jacob Sykes of Fosse Meadows in Leicestershire. Jacob is a small producer of Free Range Bronze Turkeys. He was voted in as Chairman at a recent Association Open Day, held at Tollgate Farm Poultry, Warwickshire. Philip Regan of Kelly Turkeys is the new Vice Chairman. 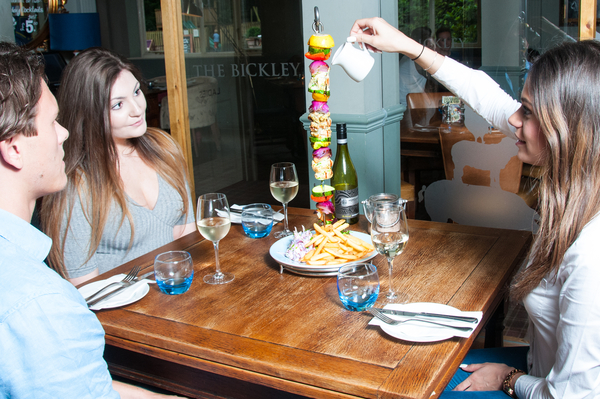 Popular gastro-pub, The Bickley in Chislehurst, has launched a new Brazilian hanging BBQ menu to celebrate the arrival of summer and the forthcoming Rio 2016 Olympics. Featuring prime cuts of lamb, beef and chicken, skewered and cooked over an open fire, The Bickley then present the dish using a traditional hanging stand, accompanied by a range of mouth-watering flavoured butter, such as Spicy Bloody Mary or Smokey Chipotle, which is drizzled over the dish at the table. This hot, hot, hot new dining trend is going down a storm with locals eager to try a BBQ with a difference and enjoy a touch of table theatre at the same time. The menu also includes an Olympic sized BBQ carnivores platter to share, definitely a gold winner for any meat lovers out there. Prices start from £15 and all dishes come with crunchy slaw, seasoned fries and salad. And, for the die-hard BBQ'ers, you can also enjoy a Chocolate and Fruit kebab for dessert. Now open for entries, these prestigious global awards boast stellar new judges, exciting new categories and worldwide publicity for our winners. Last year's awards generated a phenomenal amount of media coverage, including BBC World News which was broadcast in over 200 countries, and our BBC online gallery generated over half a million views in just 24 hours. 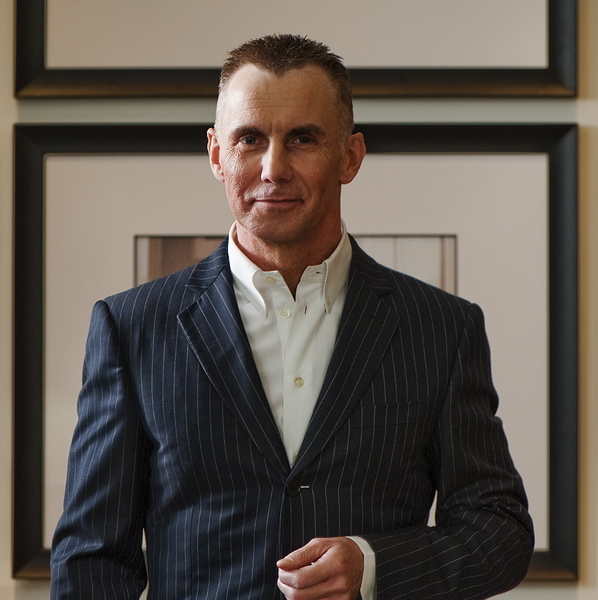 Legendary chef, author and restaurateur Gary Rhodes OBE, Buzzfeed Global Photo Director Wajmah Yaqubi, Nik Powell, Director of National Film and Television School and co-founder Virgin Records and Rein Skullerud, Head, Photo Unit, World Food Programme are just a few of the luminaries on the judging panel for 2017, alongside our chair of judges, Jay Rayner, (The Guardian, Observer, BBC Radio 4, Kitchen Cabinet, Masterchef, The One Show), David Loftus, Jamie Oliver's photographer, Thomas Gerwers, Chairman, TIPA, Germany and Paul Burrows, Editor, Camera magazine, Australia. 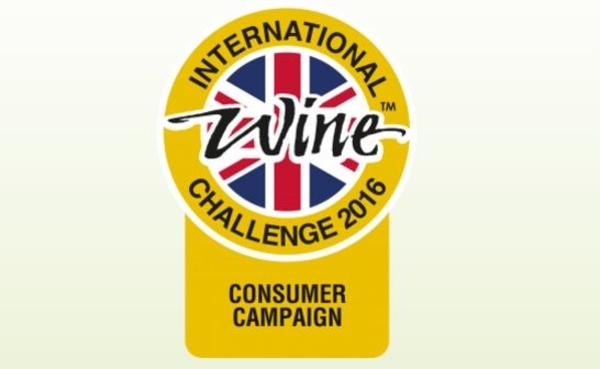 English Wine Producers (EWP) are celebrating winning the International Wine Challenge (IWC) 'Consumer Campaign of the Year' for English Wine Week. Julia Trustram Eve, Marketing Director of English Wine Producers, attended the IWC Awards Dinner and Presentation last night with EWP team members, Charlotte Marshall, who oversaw the campaign and Mags Gilbert, who supported Charlotte and Julia with the planning and logistics of English Wine Week. 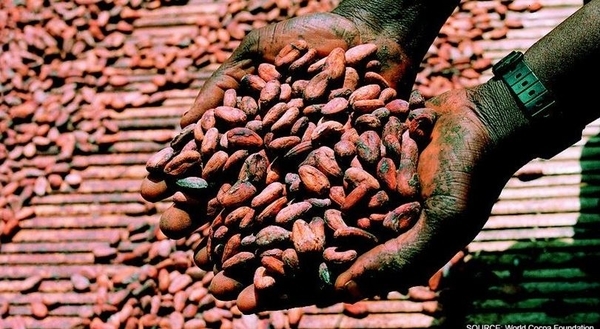 Tesco has today announced all the cocoa required for its own label chocolate products sold in the UK will be from Rainforest Alliance Certified™ sources by the end of 2018. The retailer will also ensure the cocoa used in other Tesco UK products, such as biscuits, cakes, desserts and cereals, will be responsibly sourced by the same date. The news follows a series of measures by Tesco designed to help build trusted and transparent partnerships with its suppliers and ensure more of its products are sourced sustainably. Steps include guaranteed high value contracts for British potato growers, sustainable farming programmes for lamb farmers and producers of cheese, a Fair For Farmers Guarantee for fresh milk, and an extension of its partnership with the Marine Stewardship Council, resulting in the retailer offering 80 MSC-certified products to customers. 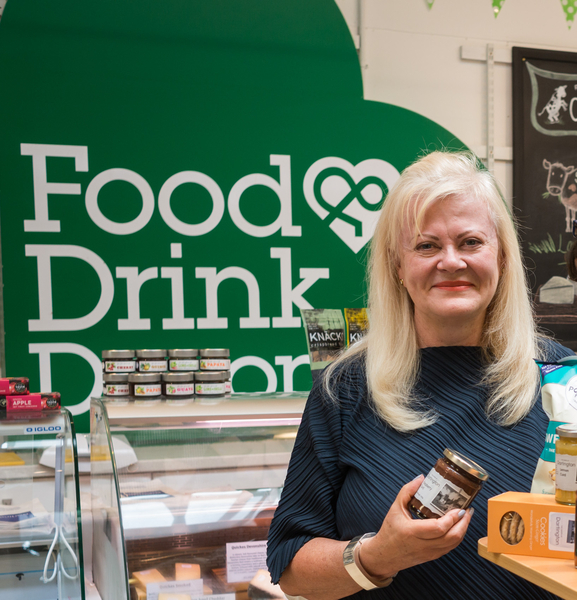 Food & Drink Devon is delighted to announce that Barbara King, managing director of The Shops at Dartington, has taken over the role of chair from the beginning of July. With years of experience in retail, as well as working with food and drink producers from across Devon, Barbara's fresh outlook will open up new opportunities for Food & Drink Devon to help shout about this dynamic and enterprising county, its producers, hospitality businesses and services. Simply Spiffing…. We've Got a New Head Chef and by Jove Is He Good! Devon is renowned for its exceptional culinary gems. People travel from all over the country, and further afield, to taste some of the county's outstanding offerings. There's a new force to be reckoned with on the national food map, Devon's Deer Park Country House Hotel has just announced that Hadleigh Barrett has come on board as the new head chef. Hadleigh, a classically trained chef in French cuisine, has a vast wealth of experience having previously worked at the luxury five-star hotel, Pennyhill Park and L'Ortolan, a gourmet restaurant run by John Burton Race. 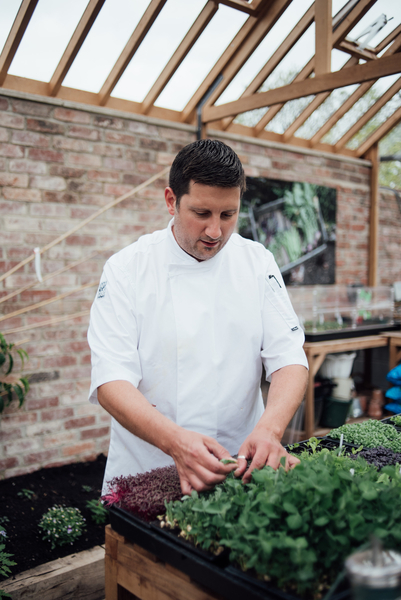 Returning to his roots in Devon, Hadleigh was head chef at the Combe House Hotel for 14 years before joining the Deer Park Country House Hotel.